Despite the fact that the iPhone 6 has been around for a while, it is still a great handset that revolutionised the smartphone industry. 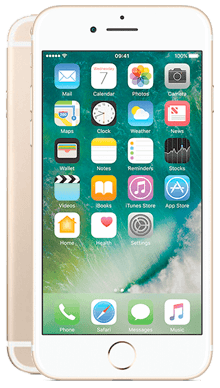 Select your desired options to find the best Apple iPhone 6 deals for you. The iPhone 6 was released in September 2014 to an audience that was excitedly awaiting a new iPhone that promised to bring something different to the table. 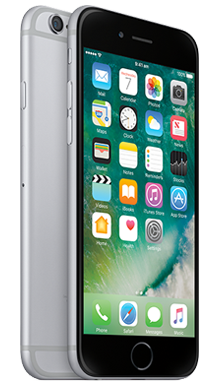 They were not disappointed; the iPhone 6 came with a new build, new technology and a bigger stablemate with the Plus model. It changed everything that Apple had put in place with previous iPhone releases. The iPhone 6 was such a success that users will now recognise many of its features in subsequent iPhone releases, proving that the 6 truly revolutionised the way that the company designed their smartphones. The iPhone 6 features a design that is a firm departure from the previous iPhone 5S and all other predecessors. 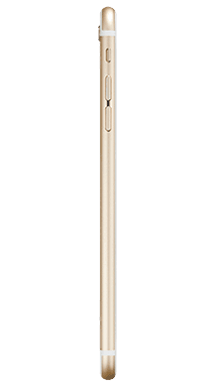 It features a rounded aluminium body that is 5.4inches tall and just 6.9mm thick. Despite the larger overall feel of the iPhone 6, it still feels light and compact, weighing just 129g; it fits comfortably into any pockets or bags without hassle. Ergonomically, the iPhone 6 is ultra comfortable to use. The thin body, with its soft curves and rounded edges, fits perfectly in the user's hand, and the smaller model is more than comfortable to use with one hand. Apple changed the positioning of some of the key features on the iPhone 6, with the power button now on the side of the handset and the home button positioned below the screen, doubling as a fingerprint scanner for added security. While this was a fairly new feature at the time of its release, the majority of smartphone manufacturers have now followed in Apple’s footsteps and added fingerprint scanners to their models, showing to what extent that tech giants really do pioneer smartphone technology. There are three stunning colour options for the iPhone 6: space grey, gold and silver. All three feature a glass front and a classy matte brushed aluminium back panel. The handset not only looks great, but the design also gives the iPhone 6 a serious degree of durability with ion-strengthened glass and oleophobic coating. With that being said, more recent handsets have received upgrades when it comes to protection, so we would still recommend going for a screen protector and investing in a protective case to save yourself the heartache of dropping your phone and discovering a cracked screen. Said screen is a 4.7-inch display featuring a 750 x 1334 resolution with a 16:9 aspect ratio. While many screens have now surpassed this quality, the viewing experience on the iPhone 6 is still impressive; colours are vivid yet natural, with clear and sharp details. It really is a winning setup, as Apple has kept this spec for their screen right up until the iPhone 8.
iPhones are known for providing an impressive audio experience, and while there’s no support for hi-res music, this won’t bother many as the CD-quality 441kHz sound is more than adequate for listening to all of your favourite tracks. Old school iPhone fans will happy to know that the handset still features the headphone jack, meaning that you don’t need to invest in a pair of wireless Bluetooth headphones to listen to music on your handset. One great benefit of taking out an EE contact with an iPhone is that you get six months of free Apple music and the data is on the network! So you’ll be able to listen to all of the latest releases and your old favourites without having to worry about racking up huge data charges. The iPhone 6 comes with a decent 8MP rear camera setup that has significantly improved Focus Pixels compared to older iPhones, allowing a quick focus time for really great shots. The iPhone 6 also features less blurring and better performance in lower light. It has become something of a standard feature on iPhone handsets to feature a low-resolution front shooter, and while the 1.2MP selfie camera might deter some buyers, it really shouldn’t. The front camera still delivers great shots, and the other great features on the handset certainly override a slightly low resolution on the front camera. While the iPhone 6 featured a major upgrade when it came to the design of the handset, Apple also stepped up their game when it came to the technology inside of the handset. One of the biggest additions was the implementation of Apple Pay, a service that allows users to use their handset to pay for goods through contactless payment using just their smartphone. While some users had a few concerns about the security of Apple Pay, it quickly became a standard feature and many Android manufacturers followed suit. Now, with so many companies and high street shops accepting Apple Pay, it really does make life a little easier, especially if you find that you’ve left home without your purse or wallet. The iPhone 6 was released with the iOS 8 interface but it is of course now possible to upgrade this to a more recent version for optimal performance. 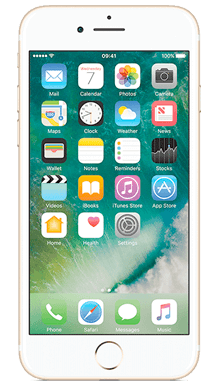 Loyal iPhone fans will by now be used to the classic Apple interface, it's extremely easy to use and is responsive and smooth. Apple is known for their internally built chip, and the iPhone 6 runs on the A8 chip for a speedy smartphone experience. Compared to previous models, that means that the iPhone 6 delivers a 25% increase in CPU performance, a 50% increase in graphics performance and much less heat output. The iPhone 6 is a great smartphone, even though Apple has now released many newer iPhone handsets. It features a revolutionary display that looks premium and stylish, and with three different colour options, there's an iPhone 6 to suit each and every individual. The screen is fantastic, and the fact that Apple continued to use it with subsequent iPhones only proves that it delivers a fantastic viewing experience. New features include Apple Pay, which may have been fairly new and unknown territory when the iPhone 6 was released, but since then has become a standard feature in the majority of smartphones, and manages to make everyday life just a little easier. The camera setup on the iPhone 6 features 8MP on the rear and 1.2MP on the front. While it's not the mightiest setup, it's significantly better than previous handsets, and photos are delivered with clear details and significantly less blurring. Performance in poor light is also much better. The A8 chip in the iPhone 6 delivers a smooth and speedy smartphone experience, and the iOS comes with an interface that is easy to use and is upgradeable to more recent versions for the best performance possible. 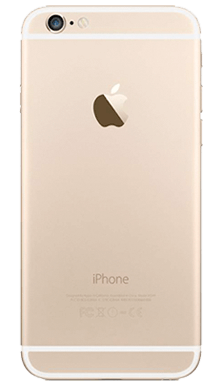 At Metrofone we want to make sure that you get the best deal possible on the iPhone 6, we’re always on a mission to find the best iPhone 6 EE offers to bring you on a daily basis. With EE on iPhone, you not only get to take advantage of incredible deals that give you unlimited minutes and texts, with loads of data, but you can also take advantage of fantastic extra perks. For example, you could choose a subscription to BT Sports to make sure you don’t miss out on all of the latest sporting action, as well as six months free Apple Music where you don’t even need to worry about paying for the data! Plus, when you shop at Metrofone, you can often get a great cashback offer to save you even more, and take advantage of our exclusive next day delivery service for absolutely nothing! If you’d like to find out more about the iPhone 6, or a specific deal with Metrofone, then why not call one of our great customer service team today, on 0333 900 1144. When you choose to purchase a smartphone from Metrofone, you are purchasing from one of the UK’s leading independent mobile phone retailers. We’re proud to deliver some of the very best smartphone deals on the market, with our team of experts work tirelessly around the clock to ensure that we also give you the very best price for your new mobile phone deal. At Metrofone we partner exclusively with EE, who is the UK’s leading mobile communications network. By giving our customers a fantastic deal with EE, we can be sure that they always have the best service and network connection no matter where they are. With free roaming, you can connect to anyone and everywhere, even when you’re on the other side of the world. When you shop with Metrofone, you could get your hands on a fantastic cashback offer, saving you even more money. Plus, every time you take out a new EE pay monthly contract with us, you have the chance to be entered into a prize draw to win an incredible new Samsung Galaxy S9 handset. At Metrofone we off free next day delivery with all of our orders, so you could have your new handset the very next day. ©2018 All rights reservered E&OE. Metrofone.co.uk is part of KTM Online Limited.